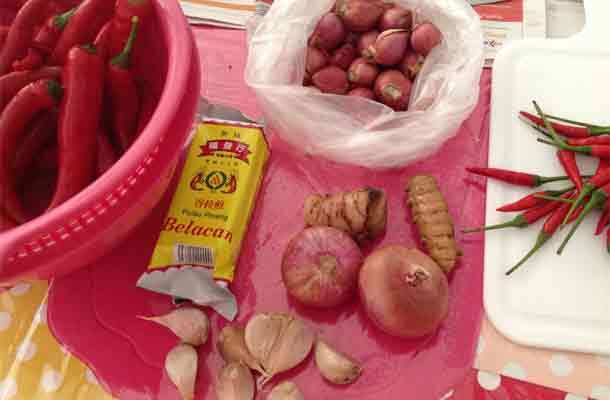 According to our contributor, you can use this balacan chilli to steam fish, fry kangkong vegetables, cook chilli crabs (best chilli crabs — mix balacan chilli together with the remaining Achar chilli – see achar recipe) and the list goes on…. 1. 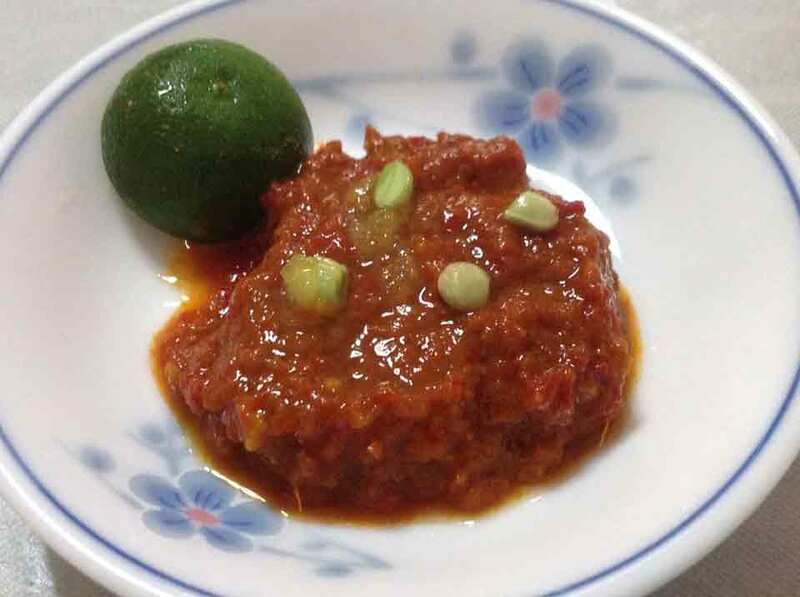 Cut balacan into six pieces. Pan fry and smash into bits. 2. Rinse, air dry and take out the chilli seeds. 3. Clear away the dirts on the ginger with a spoon. 4. Cut away onions and garlic skin. 5. Wash and air dry ginger, onions and garlic. 6. 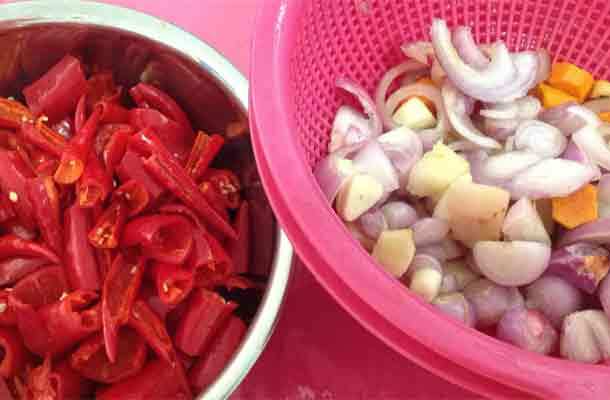 For easy blending, cut the chilli, onions, ginger and garlic into smaller pieces. 7. 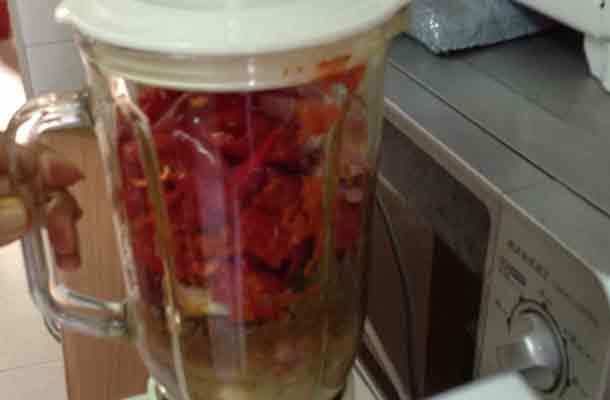 Add water and blend all the cut ingredients and balacan together. 8. 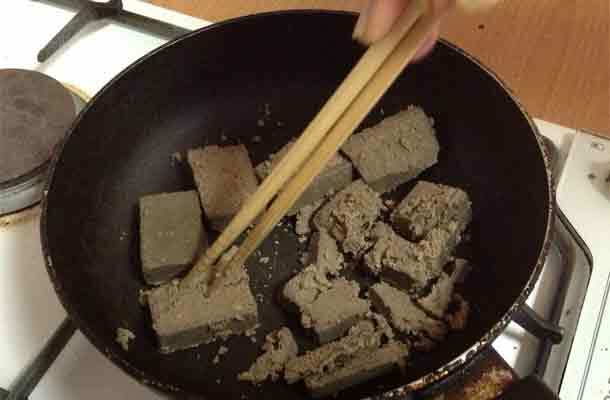 After blending, stir fry it in a wok. Keep stirring till dry. 9. 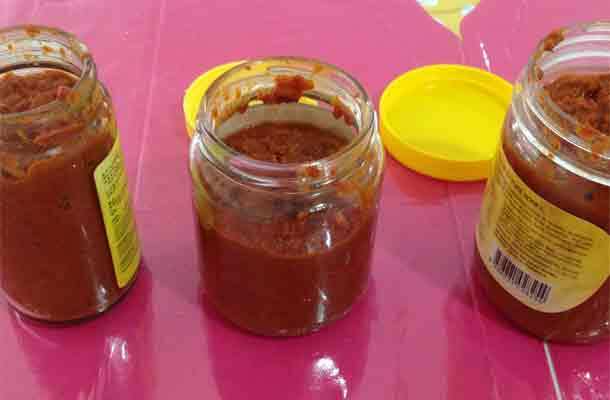 To maintain the freshness of balacan chilli, add a little vinegar. 10. Leave it to cool. 11. Add a little lime juice when you serve the chilli.